Time for a summary of how my wedding dress turned out! It’s made from two different silk fabrics, a thin silk chiffon and a slightly shinier and thicker silk. The colour is off white. The thicker silk was used for the waist band and underlining the dress (corset and first layer of the skirt). The thin silk chiffon was used to drape the upper bodice and the two top layers of the skirt. Wedding Dress – Almost Finished! Wedding Dress – Hemming silk and chiffon.. 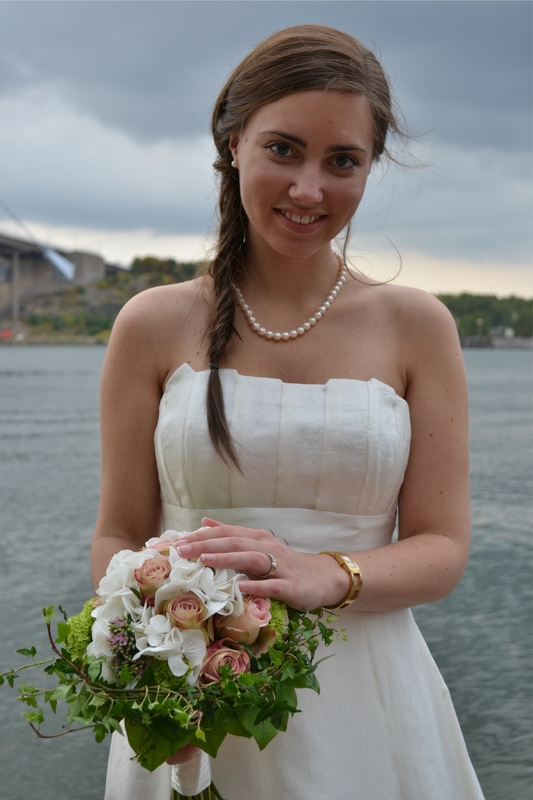 Categories: Dresses | Tags: sewing, wedding dress | Permalink. Ohhhhh so pretty! You look gorgeous in that dress! Absolutely stunning! You and the dress!! Many congratulations!